Almost a daily update from the dcemul team. Downloads also mirrored it this sticky on the official english forum. Tonight Emulation-X has posted an interview with the two coders behing the Dreamcast Emulator for Windows and Android. Reicast is an emulator coded by well known emulation coders drk||Raziel & Psyman. Want to know more about one of the best and most active Dreamcast Emulators of the moment then check out the interview here. DEmul is SEGA multi-system emulator, originally developed with Sega Dreamcast in mind. Currently, in the develop process emulator supports also: Sega Model 3, Sega Hikaru, Sega Saturn, and arcades based on the DC: Naomi, Naomi2, and Atomiswave. Visit official homepage for further information, latest files and compatibility list. As of, well, today, the alpha version of Sega Dreamcast emulator Reicast is available for Android. It's essentially an Android-based version of Nulldce. Quick warning: the developer of Reicast reckons that you'll need to have at least a Cortex-A9 dual-core 1GHz+ processor in your Android device to run Reicast properly. Given this is an alpha version of Reicast, you might obviously come across a few bugs. Otherwise, you should have no problem running the likes of Sonic Adventure, Crazy Taxi, Soul Calibur, Resident Evil Code: Veronica, and more. Reicast even works on the Ouya, by the way. So, if you have one to hand, you download the .apk file and get it running on a big screen. You can download Reicast for free on Google Play [Download here] right now. cable104 let us know there's been some WIP screenshots of the latest Demul build. For those of you who don't know, Demul is a Dreamcast emulator. 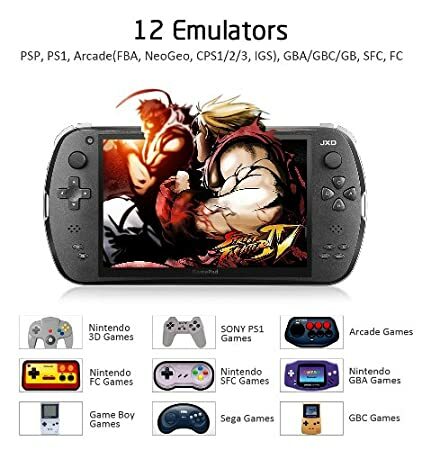 PokeMini Emulator is a Nintendo Pokémon Mini Handheld emulator for Windows, Linux, Nintendo DS, PSP, GP2X Wiz and Dreamcast.. Fixed POPA/POPAX timings (thanks asterick). Added support to read/write configurations @ ´pokemini.cfg´. Load/save state are now working! Added support for unshared EEPROM files (Each ROM can have his own EEPROM). SDL Only: Zoom can now be changed on the fly under "Platform..."
CaH4e3 posted new screenshots of Giant Gram 2000 and Virtua Fighter 4 Evolution emulated in Demul. A new test version of the Dreamcast emulator Makaron (NAOMI version) has been released. CaH4e3 posted new screenshots of Metal Slug 6 emulated in Demul. - The new GPU, automatic sorting, modifiers. - New SPU, sound still can sputter and every port, work in progress. - Fixed some errors multi-mode, should work more stable. - Added automatic limiting staff. - All games supported from mamegp2x 5.1, except NeoGeo games. - Fixed black screen bug. - Full FAZE Z80 integration. - Uncompressed ROMs and samples support. - ZX-Spectrum 48K, Plus/64K, 128K, Plus2 and Plus3 models. - Assembler RACE/FACE Z80 core. - Joystick emulated: Kempston, Sinclair1, Sinclair2 and Cursor joystick. - Filemanager with subdirectories access. - SNA and Z80 snapshots support. - TZX and TAP tape images support. - Fast loading tape time. - Under PAL dreamcasts ask 60-50Hz selection. - GNU/Linux and Windows video scaled and TV filter using hardware. • MMU Implementation - As previously noted, linux-dc now runs quite well, albeit slowly. -Elsemi code moved to ElsemiAICA,replaced all chanka code with nullAICA parts & fixed the timing bugs. Be aware that this is more like an ALPHA than a BETA (thus the version number) so some things might be broken. Read the included documentation and follow the instructions there if you encounter any problems. A NetPlay add on for nullDC, a Dreamcast emulator for Windows has been released. Be aware that the NetPlay code is in early stages at the moment so it might not work as intended. Take some time to consult the included help file before attempting to use it. NEO4ALL & AES4ALL released ! A new releases of NeoGeo emulator (CD and Cartridge) for Dreamcast console. The Dreamcast emulator nullDC has had it's first release, 1.0.0 Public Beta 1 is now available. This new version features the lastest FAME core and the new FAZE (Z80 emulator for DC). Basically, the emulation speed in some games have been improved, specially in Metal Slug 2 (i recommend to overclock the m68k and underclock the z80 for this game), Art of Fighting 2 and Pulstar among others. News from Chui of a new release of Mame the Arcade emulator for the Dreamcast. - Fast FAZE Z80 core for all systems. - Lastest FAME M68K core. - Q-Sound for CPS1 games supported. - ArcadeSticks bug fixed (L+Start for exit). - Rest of fixes and new features of MAMEGP2X incluyed. - Faze Zilog Z80 core. - Virtual tape for loading tape images. - More options: model, joystick, etc..
nullDC has some quite impressive progress these days. After the recent changes and additions more games start to become playable. CDDA support was implemented so games with audio tracks now have music. nullDC also run Virtua Cop 2, its first Windows CE game (Tomb Raider Chronicles was booting before, but it wasn't playable). Some sound and GD-ROM changes also made Bangai-O playable. Here are some screenshots of Bangai-O, Half Life and Virtua Cop running in the latest (unreleased) nullDC BETA. Click on the links to see the images. DEmul is a Dreamcast emulator for Windows. It is developed by Wind, ajax16384 and CaH4e3. Even though this is the first release of DEmul, it already supports running commercial software (games) and has various features such as save states. 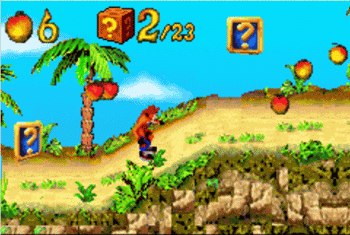 -- Credits to Exophase for releasing such a fine emulator that I have merely ported it to run on the dreamcast using the included C core, does not use dynarec like the psp version. please check the other readmes. place your gba roms on the root of the cd and burn everything to cdr, in what ever method you need to make a bootable cd. PS: thanks to Ron of dciberia for his alpha testing and arranging it with others for testing. GenesisPlusDC With VMU Support ! Warmtoe and BlackAura have been working on the update to the Genesis emulator for the Dreamcast and it now has VMU Support and is also very near Full Speed on most games. - Previous menu for choosing a MAME4ALL. - New skin by DarkSlain. - Filechache for speed up loading time. - A lot of minnor fixes. Bug in the sound with some games (Bomb Jack, Pinball Action, etc). Bug with games with I8085 processor (Phoenix runs with sound again). Screen centering in the not scaled + rotated video mode. New playable games: Robocop, Hippodrome. Sound improvements: Sly Spy, Midnight Resistance, Dark Seal, Juno First. Control Improvements: Midnight Resistance, Heavy Barrel, Ikari Warriors, Victory Road, Defender. Other improvements: Time Pilot, Pooyan, Tutankham, Gyruss. Downloads and more info at MAME4ALL Site. - A little more speed. First MAME4ALL alpha binaries is out for testing purposes. - MAME4ALL/Aged: PACMAN, GALAXIAN, SCRAMBLE, CCLIMBER, PHOENIX, NAMCO, UNIVERS, NINTENDO, MIDW8080, MIDWZ80, MEADOWS, ASTROCDE, IREM, OLDTAITO, QIXTAITO, TAITO, WILLIAMS, CAPBOWL, GREMLIN, VICDUAL, SEGAV, SEGAR, ZAXXON, SYSTEM8, BTIME, DATAEAST, DEC8, KONAMI, EXIDY, KANGAROO, MISSILE, ATARIBW, ATARSY2, ROCKOLA, BERZERK, GAMEPLAN, STRATVOX, ZCCARIA, UPL, CINEMAR, THEPIT, GOTTLIEB and VALADON. - MAME4ALL/Classic: TAITO2, CENTIPED, ATARIVG, NEMESIS, MCR, TEHKAN, DEC0, ATARI, TECHNOS, CAPCOM, ATARISY1, SEIBU, NICHIBUTSU and OTHERS. - MAME4ALL/Gold: CPS1, SYSTEM16 and TMNT. Download and more info at MAME4ALL site. - Assembler CPUs core enabled. - New logo and menu skin. More info and download at SNES4ALL site. - Fixed controls, 4 joysticks emulated.